There has been a buzz about Western Centuries in roots circles for a while and this is set to escalate in the jet stream of their second album release. 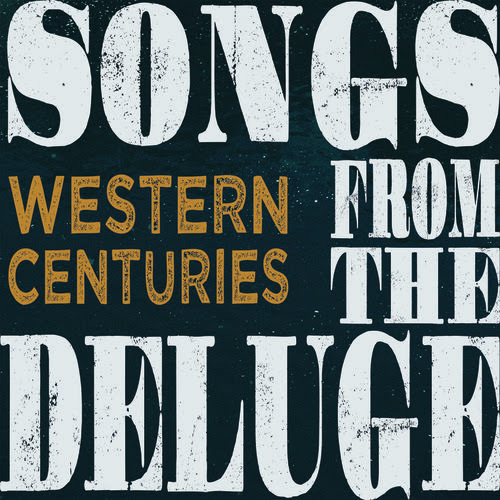 SONGS FROM THE DELUGE draws its inspiration from a core country sound etched around the edges with shades of Cajun and soul. The movers and shakers around the collaboration that takes the name ‘western’ quite literally in terms of style include producer Joel Savoy, an artist steeped in Cajun lineage, and three songwriters noted for their work in other musical projects. The best known here of these is Cahelen Morrison, who has toured overseas in a duo format with Eli West. Fellow Seattle resident Ethan Lawton, who was heavily involved with the stellar work of Zoe Muth, joins Cahelen. The core trio of the band is completed by New York City based Jim Miller. The irony of the trio honing in on a very southern sound from their bases in northern cities, albeit thousands of miles apart, is not lost, although the execution is rip roaring country music at its finest. This theme explodes in the album’s stand-out track with ‘Own Private Honky Tonk’ suggesting that taking a spin around those wooden boards need not be solely reliant on the close proximity of an old time southern dance hall. Indeed, you can replace the south and west with Seattle and New York, or anywhere in the world in the sentiment of the song. In tune with much of the album, this number rattles along at a chipper pace making use of the some super pedal steel; the driving instrumental force on the record. Pushing this song to the limit among the twelve-track offering is the sublime ‘Earthly Justice’, with the sound drifting into Eagles territory. For a greater heartbreaker angle, ‘Rocks and Flame’ shapes up nicely as the band prove they can lower the tempo effectively when a breather is required. The album gets its release on Free Dirt Records, who have an impressive past and present roster including Pokey LaFarge and Dori Freeman. Following the success of the former in securing a loyal fan base overseas, it would be interesting to see the extent that Western Centuries are promoted outside the US, and build upon a few dates over here last year. Targeted press is underway, but a tour would be the most exciting prospect because every indication points to a sizzling live show. The presence of Savoy has not led to his Cajun heritage effect taking over fully, but some exciting fiddle and accordion pieces like in album opener ‘Far From Home’ add more than a little sprinkling of Louisiana. The vocals do frequently lean in a soulful direction and the deepest foray into this style exists most prominently in ‘How Many More Miles to Babylon’. To ensure a fresh appeal lasts to the final throes of the album, a dip into Spanish language vocals in the closing track ‘Warm Guns’ takes the album breathtakingly deep into border land, probably the furthest you can get from the Pacific North West or the Eastern Seaboard. Running the full course of a 50-minute duration creates a comprehensive package that succeeds in keeping the listener actively involved, although a slightly more compact presentation could have been successful in leaving folks yearning for more. 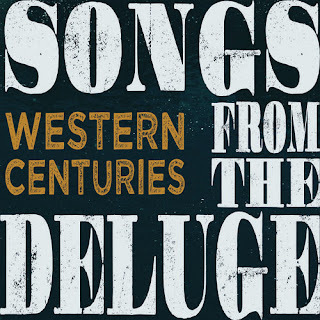 SONGS FROM THE DELUGE is an album that demands many repeat plays and has put down a marker as the year’s leading toe-tapping release at the end of the first quarter. It will certainly take a very good record to knock it off this mantle, but any high quality challengers are more than welcome as this type of country music can never have too many excellent practitioners. Western Centuries fall into this category and tapping into the buzz that warrants entirely has proved a fruitful exploration after absorbing the delights of this album.